Each laminated 5″x3″ card is printed on both sides. 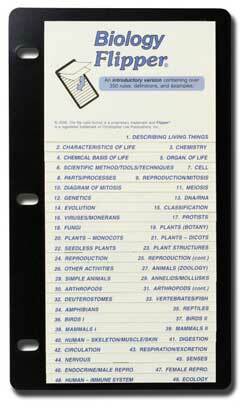 The cards are staggered down the flipper for easy viewing of each topic. Save on Math Flippers during our sale at Lamp Post Homeschool! 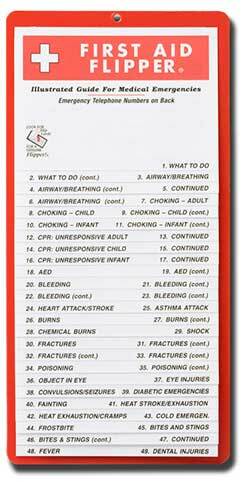 Headings show what is covered on each card. 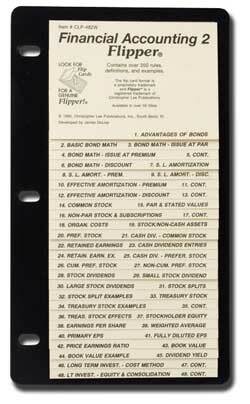 Left-side heading shows the type of topics on the front of the card. Access the information on each card by “flipping” them to lift the cards to reveal the next card. 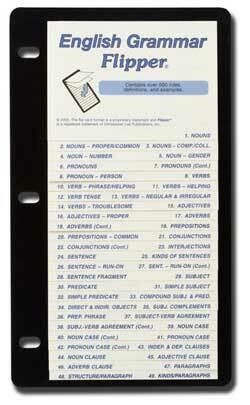 The laminated cards are attached to a sturdy 6 ” x 11″ plastic backing. 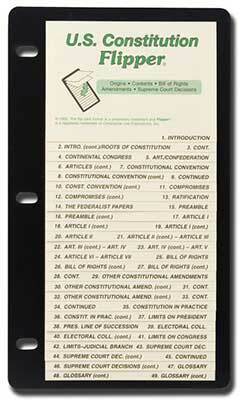 Fits into a 3-ring binder for easy access because it is three-hole punched. 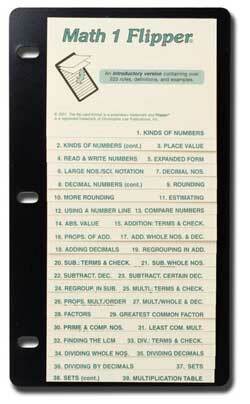 The Math 1 Flipper Guide covers beginning subtraction, addition, multiplication, and division. 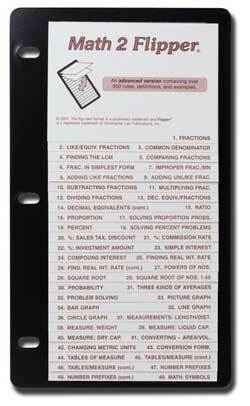 The Math 2 Flipper Guide covers fractions, proportions, percentages, square roots, metric, etc., terms typically covered in grades 6 and up. 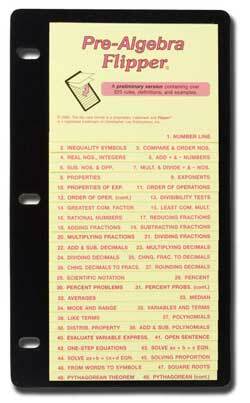 The Math Terminology Flipper Guide covers math terms in grades 6 to 10. 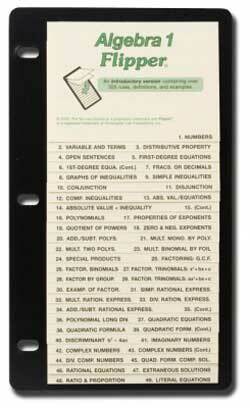 The Pre-Algebra Flipper Guide covers terms and formulas for beginning algebra. 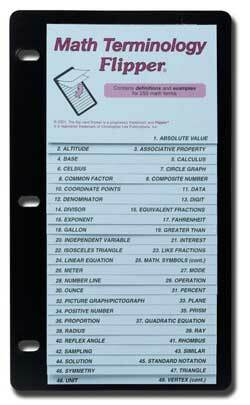 The Algebra 1 Flipper Guide covers terms and formulas for Algebra 1. 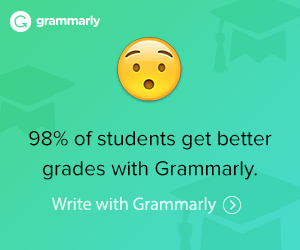 Your student can find formulas and definitions quickly with this helpful study aid. 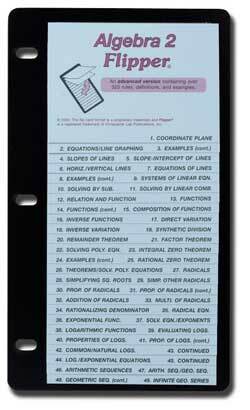 The Algebra 2 Flipper Guide covers terms and formulas for Algebra 2. The Pre-Geometry Flipper Guide covers terms and formulas for beginning geometry. 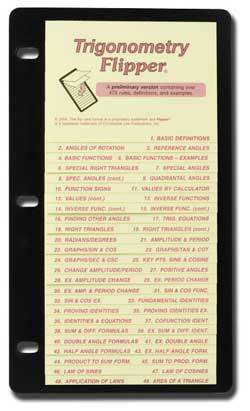 The Geometry 1 Flipper Guide covers terms and formulas for geometry. The Geometry 2 Flipper Guide covers additional terms and formulas for geometry. 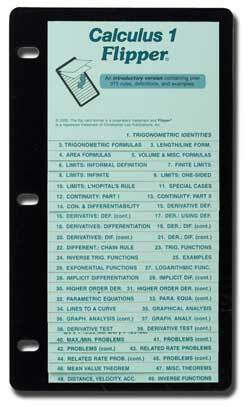 The Trigonometry Flipper Guide covers terms and formulas for trigonometry. 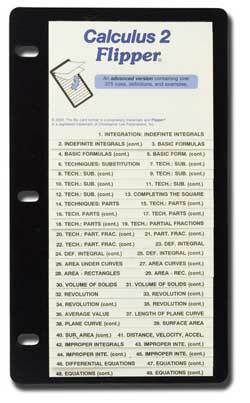 The Pre-Calculus Flipper Guide covers terms and formulas for beginning calculus. The Calculus 1 Flipper Guide covers terms and formulas for calculus. 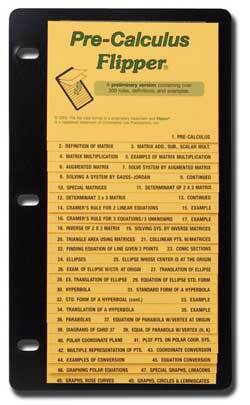 The Calculus 2 Flipper Guide covers terms and formulas for calculus. 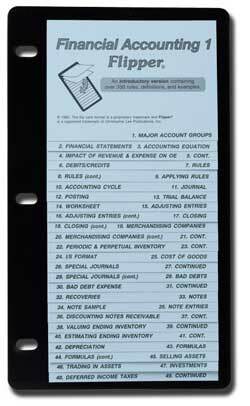 The Managerial Accounting Flipper Guide covers managerial accounting topics, 1st year, college level.